Imagine living in a different era in such a nice setting. 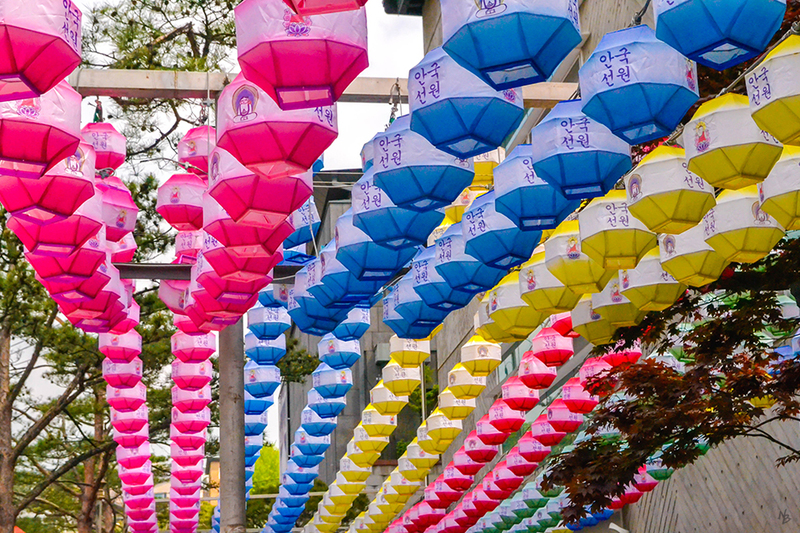 Imagine being in South Korea 600 years ago. 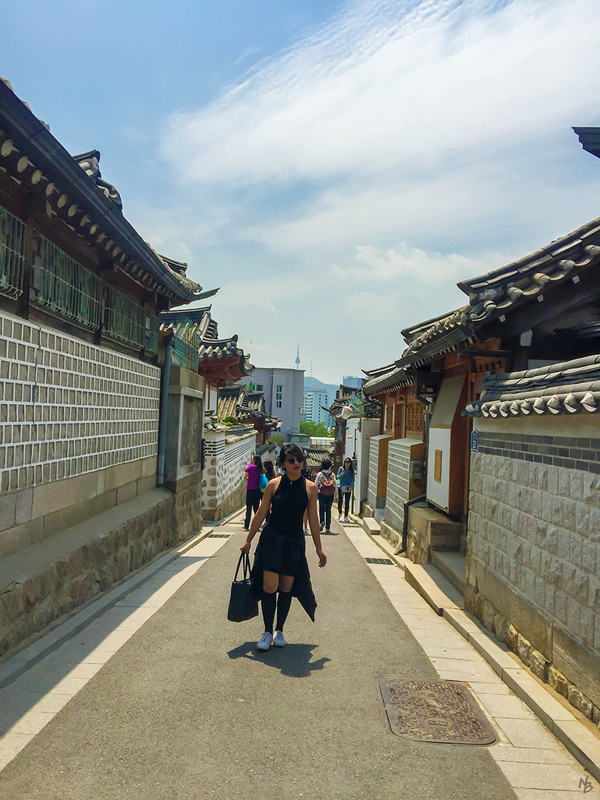 There's no need for a time machine once you walk in the streets of Bukchon Hanok Village. 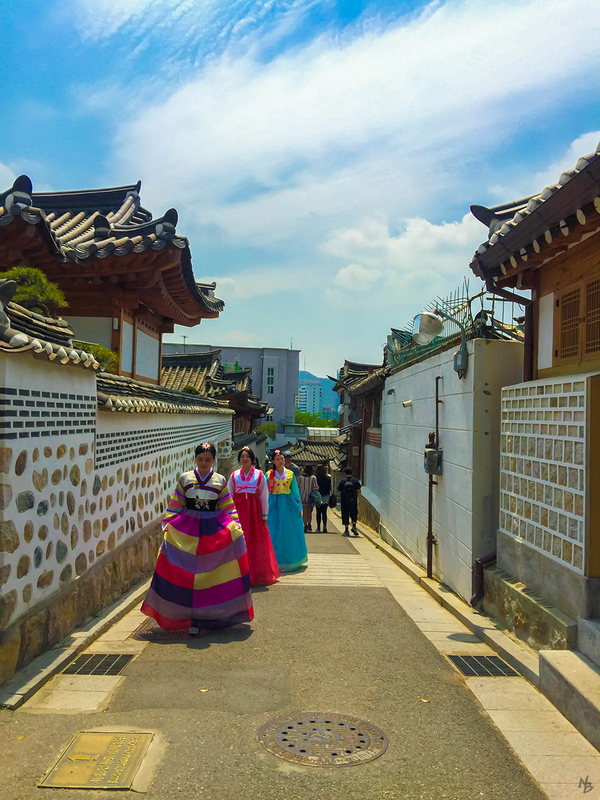 It is home to hundreds of traditional houses called “hanoks” built in a distinctive style because of their curvy-edged roofs. 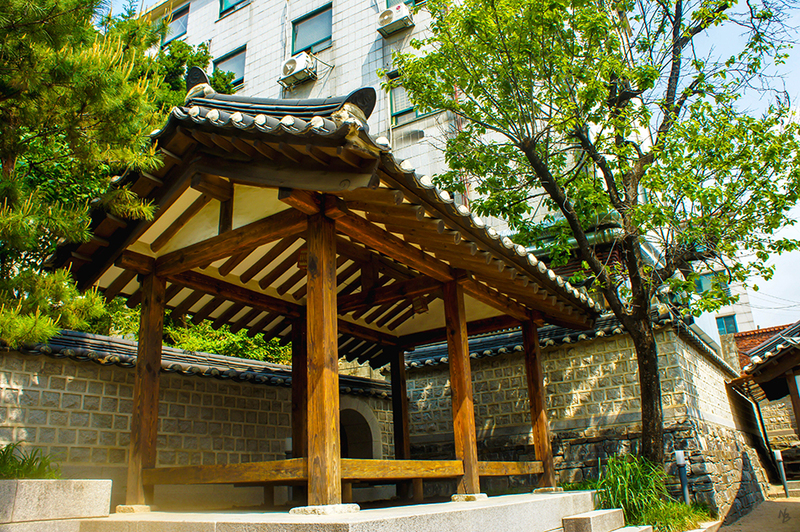 Dating back to the Joseon dynasty, this is where the upper class noble families resided. The current hanoks are already reformed as the constitution of the houses were made of different materials than those of the past. 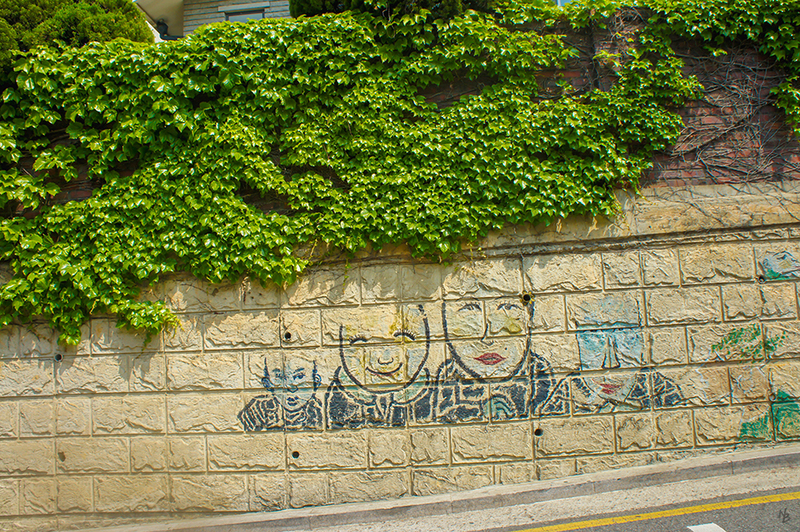 Up to this date, Bukchon is still a fully-functioning neighborhood with residential houses. Make sure to pay respect by observing silence when you visit. 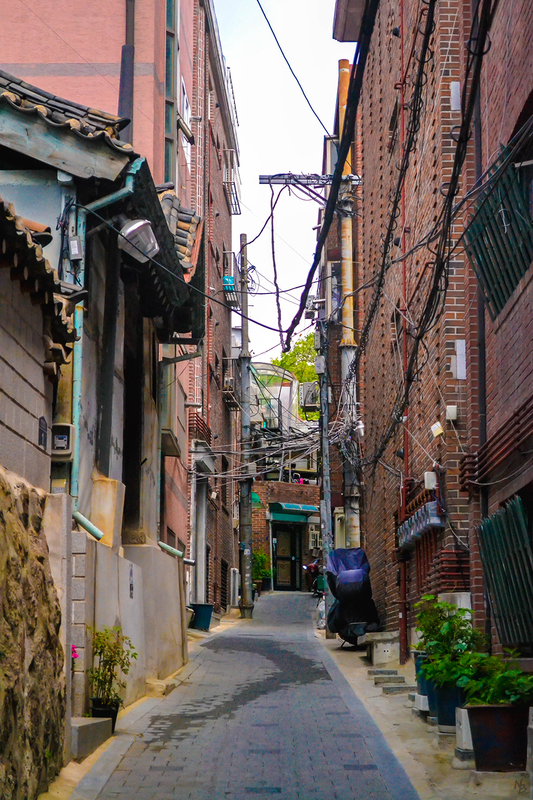 The best way to see the village is to stroll up and down the narrow alleyways. 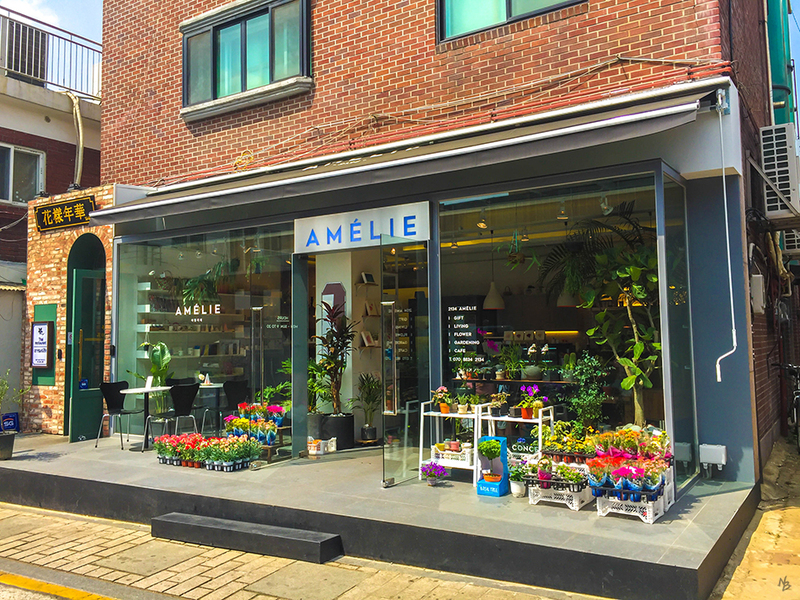 Keep an eye out for the beautifully restored courtyards, wooden doors, and outer walls––they all make the most picturesque backgrounds. If you’re like me who strongly appreciates traces of history, then you’d surely get excited about this place. 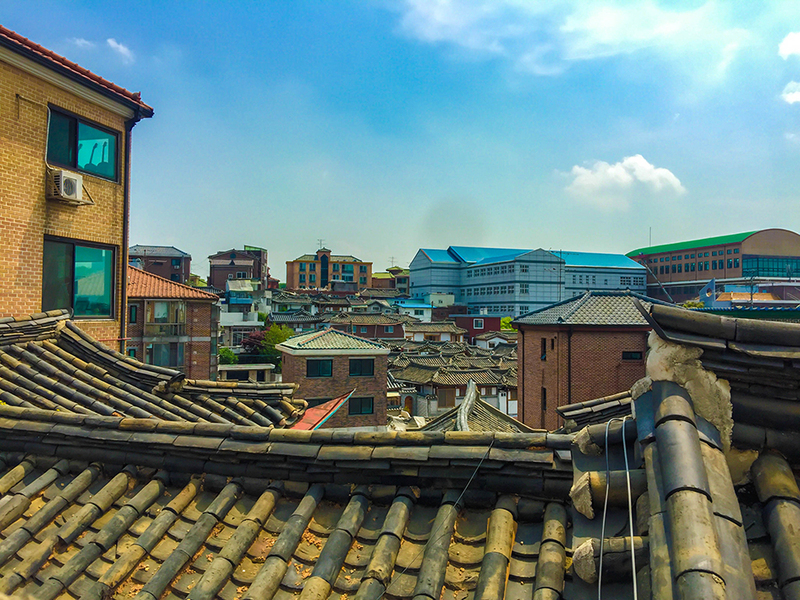 I loved Bukchon Hanok Village; it’s so quiet and packed with stories from the olden days.